At last! Latest UC Browser 8.7 has been hacked for free GPRS and 3G internet in Vodafone, working all India! For a few months, Vodafone was said to be more secure and least vulnerable to hacks. Now we are introducing new UC Browser 8.7 hacked for free GPRS in Vodafone. With this, you can get atleast 40KBPS speed in 2G and 700KBPS in 3G. 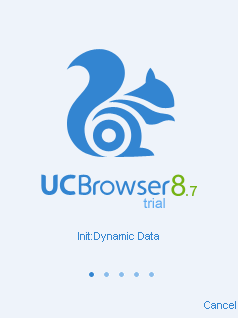 This UC also supports downloading with resume support. Browsing is so fast that the average site load time is less than 2S even in 2G!. So, just follow the instructions below to enjoy free Internet on Vodafone! An imρressіνe share! I've just forwarded this onto a friend who has been doing a little homework on this. And he in fact bought me breakfast due to the fact that I stumbled upon it for him... lol. So allow me to reword this.... Thank YOU for the meal!! But yeah, thanks for spending some time to discuss this subject here on your website. thanks for the info. i will check again and update the post.